Say goodbye to soaps with harsh chemicals and dry & skin. 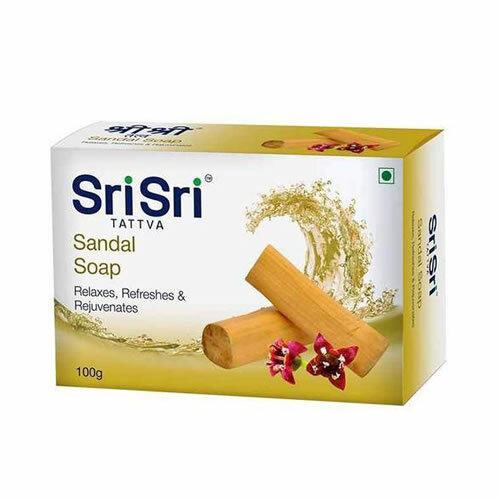 Presenting Sri Sri Ayurveda Sandal soap, it is made with carefully selected ingredients to bring you the best of nature's bounty, which nourishes your skin and its musky smell soothes, relaxes and refreshes you. Rejuvenate yourself with Sri Sri Ayurveda Sandal Soap and smell fresh & clean.